Be the first to share your favorite memory, photo or story of Roma. This memorial page is dedicated for family, friends and future generations to celebrate the life of their loved one. 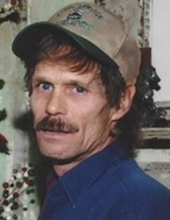 Roma Gene Hancock, 59 of Tulsa, Oklahoma passed from this life on Saturday, March 3, 2018 at his residence in Tulsa. He was born September 18, 1958 in Tulsa, Oklahoma to Ray and Evalean Moore Hancock. He attended Owasso High School and was a proud tribal member of the Potawatomi Tribe. Before he graduated high school, he joined the Army and spent twelve and a half years in active and reserve service where he completed Infantry Advanced Individual Training. Roma was an Iron worker for 10 years in Tulsa, Oklahoma where he worked hard to provide the best honest service to the many construction sights he served. Roma married the love of his life, Jodi Jean Wright on March 31, 1997. They shared 20 wonderful years together. Roma and Jodi Loved to Travel with Branson, Missouri being one of their favorite destinations. He loved working outside, camping, fishing and boating and one of his favorite hobbies was collecting coins. Roma is survived by his loving wife, Jodi Jean Wright Hancock of the home; his parents, Ray and Evalean Moore Hancock; two daughters, Melissa Rea and husband Matthew of Tulsa, Oklahoma and Rebekah Bender of Tulsa, Oklahoma; one son, David Bender of Tulsa, Oklahoma; three granddaughters, Rhonetta Rea, Michelle Rea and Shana Haas of Tulsa, Oklahoma; one grandson, Jacob McGuirk of Tulsa, Oklahoma; one great-grandson, Ian McGuirk of Tulsa, Oklahoma; two brothers, Ray Hancock of Sapulpa, Oklahoma and Ricky Hancock of Owasso, Oklahoma; three sisters, Cheryl Hancock of Owasso, Oklahoma, Robin Leonard of Skiatook, Oklahoma and Vickie Graham of Owasso, Oklahoma. Roma was one of the most caring, kind and loving men you could ever expect to meet. He was a wonderful Father and Grandfather. He made all his families dreams come true. He will be remembered in so many wonderful ways but especially as the “Best Papa” ever! *There is no scheduled visitation. To send flowers or a remembrance gift to the family of Roma Gene Hancock, please visit our Tribute Store. "Email Address" would like to share the life celebration of Roma Gene Hancock. Click on the "link" to go to share a favorite memory or leave a condolence message for the family.